Hearing Aid Source is your hearing aid industry leader. Our experience and commitment to best practices results in a higher level of customer satisfaction. Every year, new studies are released citing new methods for testing, fitting, and adjusting hearing aids. Many of these new methods have been proven successful in delivering higher levels of customer satisfaction. However, studies have also identified that not all clinics adopt the latest “best practices“. This means that, given the same make and model of hearing aid, you may experience very different end results depending on the clinic you choose. Quality hearing solutions include professional testing, diagnosis, manufacturer independent consultation, in-person fitting, and quality follow-up services – all performed with strict adherence to today’s best practices. But, this “chain” is only as strong as its weakest link. Missing one key step may be all it takes to result in an unsatisfactory solution. 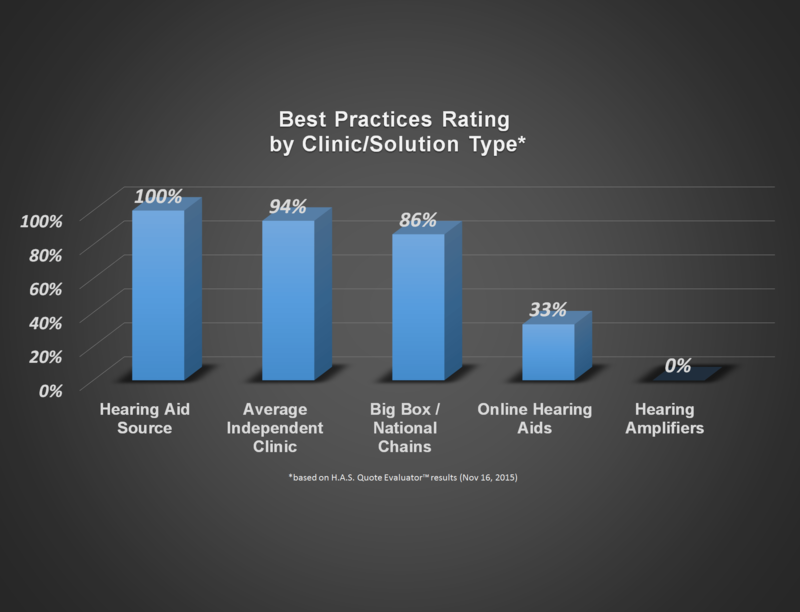 Just one more reason to trust Hearing Aid Source for all your hearing care needs. Call us at (416) 463-4327 or Click Here to find out about today’s best-practices in hearing care and why they matter to you.